Since 1991, HCST provides a full-suite of IT services for our business partners. We're known for our quality services, respect for our clients, and breadth of our solutions. HCST provides a full range of support services for our clients, designed to meet their needs and budget. 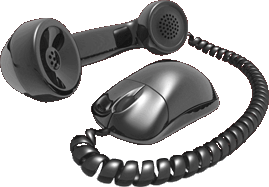 HCST’s expertise and experience with the FreePBX VoIP system makes it a great choice for our business clients. HCST provides a full range of cloud services, including cloud-based servers, cloud-based email, and cloud backup solutions. Hassler Communication Systems Technology, Inc. (HCST) has been providing a full range of IT services for our clients, primarily in the greater Dayton and Springfield Ohio area since 1991. With today’s technology, our ability to support clients has no physical boundaries. Our full range of services include managed and break-fix (on-call) support services, server and workstation planning, installation and support, backups, disaster recovery and business continuity, as well as Voice-over-IP telecommunications. Providing IT services since 1991, we are probably the most well-established and experienced IT services provider in the area. You have a business to run, with your own priorities and concerns. Let us handle the IT side of things for you — everything from your local network, Internet access, servers, workstations, backups and business continuity and phone systems to ongoing consulting and support. Your phones should be as up-to-date as your computer systems, and provide the flexibility and integration your organization needs. HCST has the solutions for in-premises PBX for any size organization, or combinations of cloud services for multi-location organizations, or those requiring just minimal services. Complete our contact form below, and one of our senior staff will reach out to speak with you.